Complete your preparations for a grand Raksha Bandhan celebration by ordering for this Marvelous Beaded Thread Rakhi with Warm Love which comes along with a free Rakhi, Roli Tilak and Chawal to make it grander. 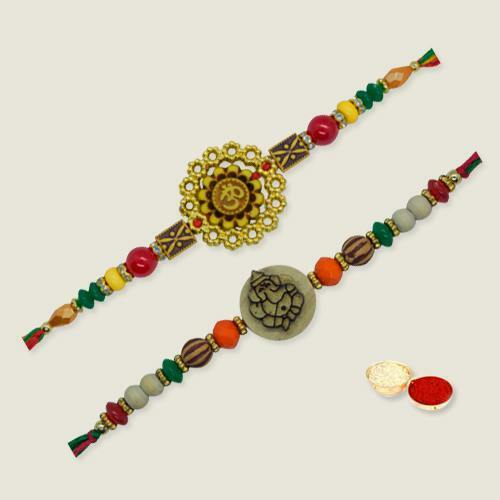 This Nicely Gift Wrapped Beaded Thread 2 Pcs Rakhi is designed for your brother. The Design may vary a little.